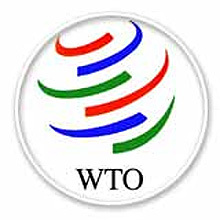 According the World Trade Organization (WTO) website, the WTO is an organization that was set up as a forum for governments to negotiate trade agreements. Although the WTO is not even twenty years old, the General Agreement on Tariffs and Trade (GATT) by which the WTO was established, is over fifty years old and has become an important part of international trade. In international shipping, we rely on the WTO to establish and regulate rules to ensure fair trade throughout the world. The ultimate point of the WTO is to keep trade as free and open as possible which will allow the different global economies to grow and thrive in the world marketplace. The members have set up the policies so that everyone knows them and can count on them. They want to remove as many barriers as possible in world trade. This can sometimes lead to a dispute between nations as one member accuses another for not holding up their end of a WTO agreement. And if there is a dispute, the WTO is there to help as well although it is ultimately resolved by the member nations involved. Although not every nation is a member of the WTO, there are so many that it is easily the governing body for trade in the world. As of March of 2013, there are 159 members of the WTO and it is ever growing as more nations gain a larger international presence. As such the WTO is considered good for the United States and good for international logistics companies since it links countries to trade in a more effective way.